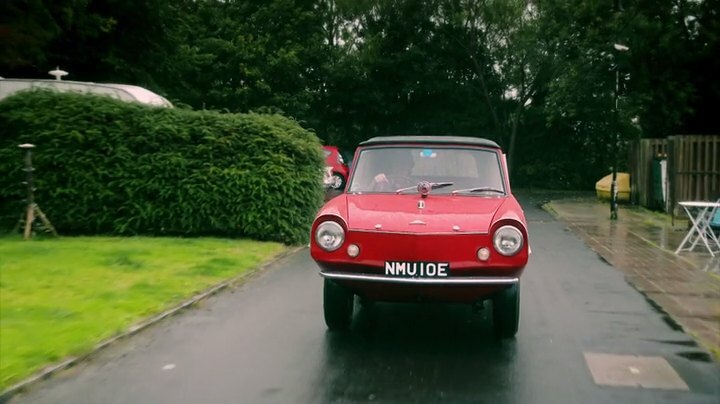 IMCDb.org: 1967 Amphicar 770 in "James May's Cars of the People, 2014-2016"
"NMU 10E is a Red 1991 Amphicar with a numberplate first registered in Middlesex in 1967. This Unknown was first used on the road on Thursday 28th March 1991." So the 1991 date may indicate when it reappeared on the road (or canal??) after restoration. There was a dark green RHD seen briefly at end of sequence cruising with a different red one which was towing a house-boat, plus others in archive footage.